Happy Sunday! This is another family day for us. We will go to Church first then drive anywhere we could reach, haha. But we have orders to make pa pala. So maybe, we will stay more at home today. Here's our last Entrepreneur Startup Quote from Walt Disney himself. 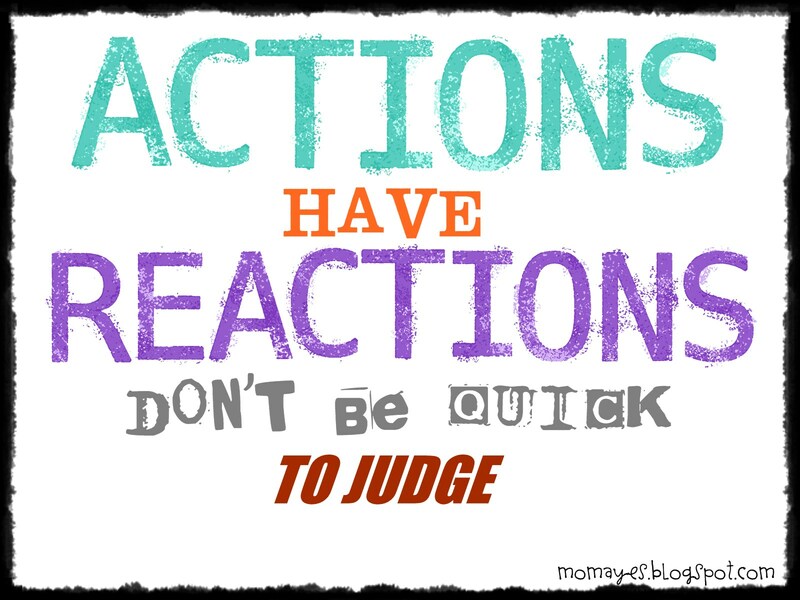 I always believe that actions speak louder than voice and that less talk less mistake. Most of the times, I spend my time quietly doing my work, my sidelines. I don't talk that much because I want to do things without being loud. I feel better and secured that way. For success comes to those who stop talking and make things happen. 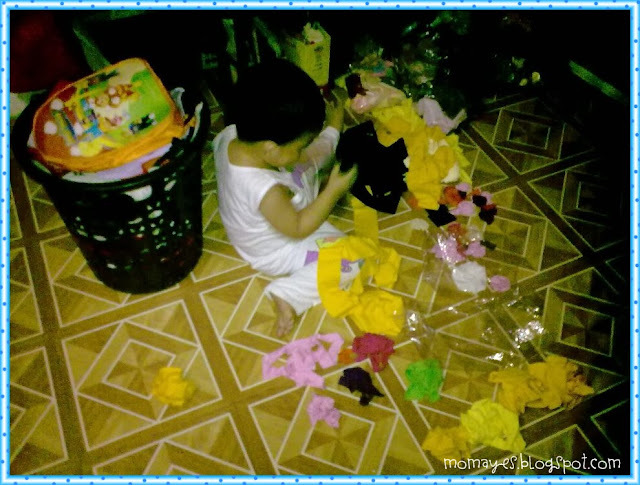 Sharing with you the new cover of Momaye's Shoppe Facebook Page. Finally, I have finished it! It took me almost a week to made this one. But it's worth it naman. Please do visit my shop. I have many new crochet products there and Alva plain cloth diaper is coming soon. Good morning again! I have been busy this week and I don't have much time to blog. I have so many things to tell you and I want to post many DIYs at my craft site but I don't have that much time. Hopefully, next week I can blog more. We are on the 6th day of our Entrepreneur Startup Quote series. Here's our Daily Inspiration today. Before I started my own online business, I always said I will wait for the right timing. But right timing won't come so I decided to take the risk and started online business anyway. Then I realize, you can start your own business anytime but of course you need to be prepared in everything. You will never know how it will come out until you take the risk. Happy Saturday! Love the weekend! Good morning everyone! It's another day, another blessing and it's payday Friday. Expect heavy traffic again, hehe. The weather is so weird talaga. It was really hot last night then a super heavy rain poured. It was not long but it was very hard that I thought there's a tornado. The rain didn't make the temperature cooler, it just make it hotter. Anyway, here's another Entrepreneur Startup Quote from the co-founder of Google, Larry Page. Working in a Quality Assurance group, we always assure that every raw materials and finished products pass quality specifications. This is what I am doing for 10 years now. Now that I am my own business, I very particular when every details and I almost make sure that I deliver more than my customer's expectations. I love to hear good feed backs and this inspire me to do good, better and best. Thank God it's Friday! Happy payday Friday pa! Good morning! Weekend is almost here, again! So bilis no? And payday is tomorrow na. I will try to follow what I have read from an eBook written by Bo Sanchez. Aside from our own business, I really want to try to invest in stock market. Hopefully, with God's grace we can make it. I will tell you about it soon. For the meantime, here' another Entrepreneur Startup Quote. I guess you are not be surprise if I am sharing quotes like this because I am so business minded nowadays, haha. I believe that successful entrepreneurs started all by themselves. I mean, at the start of their business, it's either him/her and his/her family are working. Because of hard work and being hands on, it will emerge to a full bloom business in which they already have their own employees. This is my vision. Right now, my husband and I are working and doing the crafts (crocheting and sewing) all by ourselves. We are doing it with our hearts on it and make sure each product are done with quality. The truth is we spent hours just to finish an almost perfect product. We never get tired of starting it all over again if we see there's something wrong with it, even if it's not noticeable by other people. I just can't fool myself knowing there's a mistake in that product and makes me see it as ugly even if it's not really is. 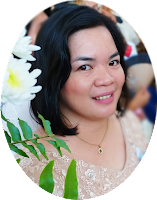 Crocheting is not common here in Philippines but I am glad there are emerging online shops, like ours, which offers crochet products. It's old school but I am loving it especially if you see how a simple yarn has turn into a beautiful masterpiece. Someday I want to share this knowledge to house wives to help them generate income. I am praying for that and I know there's nothing impossible with God. I heard a very bad news about a huge accident in our hometown that happened 2:30am this morning. A bus and a tanker truck had a collision. As of this moment, 12 were already dead including the 2 drivers. According to a passenger, the driver of the bus heading south bound, tried to avoid the coming motorcycle that's why he hit the truck heading north bound. The two riders of the motorcycle were also reported dead. This happened on the same road where by younger brother had an accident last December. His car bumped into a truck parked at the road side. Luckily, he survived the accident even if his car is totally wrecked. The highway is curve and they called it Curva. This highway always has an accident every year. Aside from my younger brother, my older brother and his two companions died years ago in a road accident on this same highway. It's near November also and there are talks that this highway (from Maligaya, Munoz to San Jose) is getting lives every year. So I had goosebumps when I heard the tragic news this morning. Sorry, I don't want to make your morning as gloomy as the weather. I just can't help it. Anyway, we need inspiration so here's another Entrepreneur Startup Quote. I remember one speaker we had told us about this already. The difference of a manager and a leader. There is really a big difference between the two. Because the manager is always in front of you to remind you where you are but a leader is always beside you to lead you where you are going. So it's your choice. Be a manager (just a title) or a leader (true to the word). Please help us pray for the soul of those who passed away with the recent tragic accident I have mentioned above. Please also party for those who are wounded. Thank you and be safe everyone. 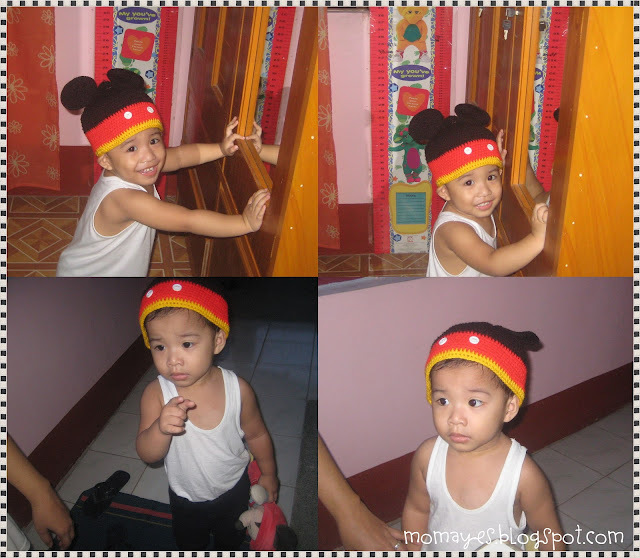 Daddy modified and beautified the Mickey Mouse hat of Matthew. I told him, he is doing beautiful crochet of our customer yet our son's Mickey Mouse hat is not so nice. LOL. So here's Matt looking happy at his new Mickey Mouse hat. When he goes around the village every morning he always wear his Mickey Mouse hat while holding his Mickey Mouse stuff toy. I wonder why he is so attached with Mickey Mouse. Mickey Mouse will be the first and last thing on his mind everyday. He can't sleep without it and Tita told us he wouldn't want Mickey be washed. All his stuff toys were already washed and cleaned except Mickey Mouse. Hehe. Children are always joy to us parents right? 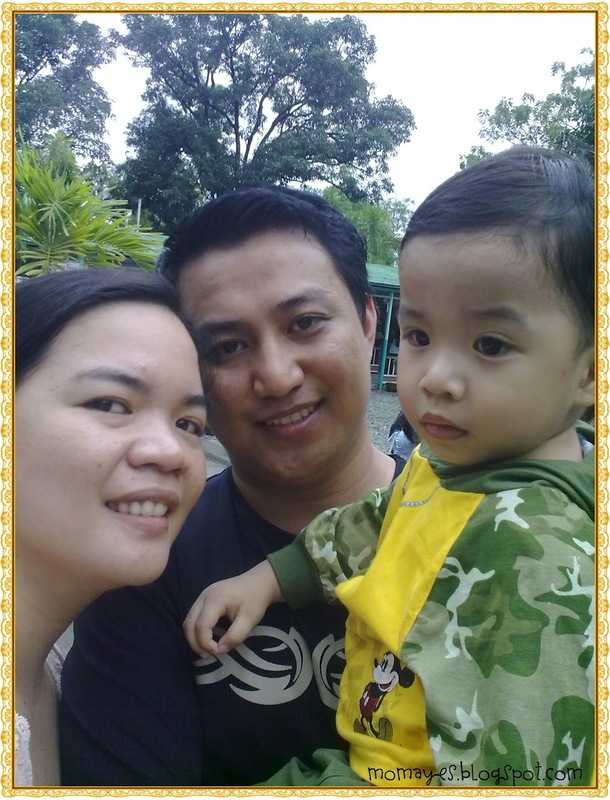 They inspire us to do better in life that's why a family is said incomplete without a child. 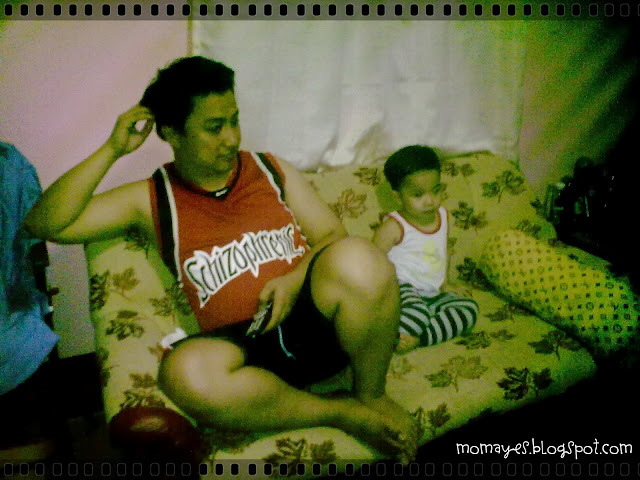 Actually, it took us more than a year to finally be blessed with a son. I always believe it would be given in time. I know not all women can conceive easily and some underwent some medications to be pregnant. Apparently, these fertility drugs are very expensive yet it's not that successful and has side effects too. As much as possible, we really want to get pregnant naturally. If you are trying to conceive now or if you know somebody who is, I have an awesome giveaway for you. ConceiveEasy is an all-in-one fertility solution that is made up to all-natural ingredients. This is a proven solution to help mommies-to-be conceive sooner and much easier than before. So it is safe and has no side effects. The ConceiveEasy Trying to Conceive increases the body’s reproductive cycle and helps get rid of common causes of infertility like progesterone deficiency, irregular cycles, poor cervical mucus quality and hormone imbalances. Go to ConceiveEasy website to purchase your TTC kit. Take advantage of the 30-day free trial. By the way, a dollar from each purchased kit will proceed to breast cancer research. Great right? To know more about CoceiveEasy, you can reach them via their toll free number 1-888-363-9222, or you can email them via the convenient form at their website. Now, let's proceed with a giveaway. Just enter the Rafflecopter below. This giveaway will run from September 25 to October 9, 2012. This is open to US and Canada residents only, 18+. Disclaimer/Disclosure: This Giveaway is not sponsored or affiliated by Facebook, Rafflecopter, Keurig, Momaye's Diary or any other Company/website. TMomaye's Diary is NOT responsible for the delivery of any of the prize(s), shipment of the prize(s) or the condition of the prize(s) in which it comes in. No purchase necessary. Good morning guys! How's your morning? Mine is super fine and I am overwhelmed with so many inquiries and feed backs at my Momaye's Shoppe. Thank you for the trust! As promise I will share with you another Entrepreneur Startup Quote for our daily Inspiration. Here's another one. I believe that business will never do good without a good customer service. You should treat your customer the way you want to be treated. Even if there are times you are already pissed off with endless questions and queries, always be patient and smile. Hello everyone! It's another week of work for us working moms and dads, and singles too.! For this week's Daily Inspiration, I will share with you Entrepreneur Startup Quotes. Today, here's one of my favorite. Oh this quotes holds true for me. I already we are into crafts and online selling. Because of this, my husband and I are working at nights and even on weekends. But it feels like it is not work because we enjoy it a lot. We love it and we believe one day, we can be successful with it. In God's grace we can make it bigger. I am always praying for that. Bloggers! Here's another FREE blogger event. One winner will get a chance to win $150 Cash sponsored by Emperola! Sign up HERE. All you need to do is to make an announcement about the FREE sign-up on your blog. This is a good way to gain more followers on your Facebook page. Co-hosting spots are also available! 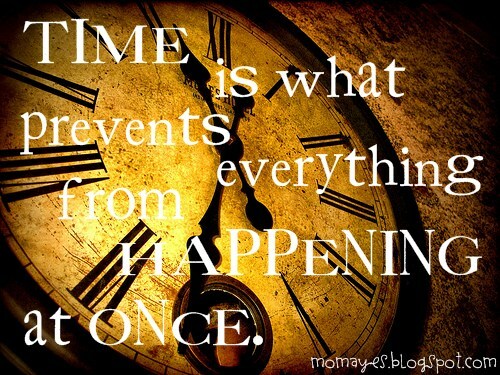 Daily Inspiration: It's because of Time! Good morning! Blogging here from home. I super love Sundays talaga. 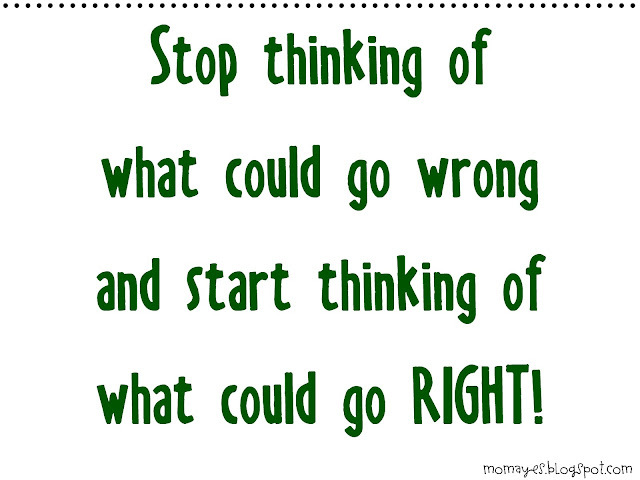 Before anything else, let me share with you our Daily Inspiration for today. Ever wonder why all we desire doesn't happen all at one? This is because we have time. So if what you wish for does not happen now, just wait. Because there's always a right time for everything. Have a Blessed Sunday! Please find time to thank our Creator. Here's our Daily Inspiration for today. 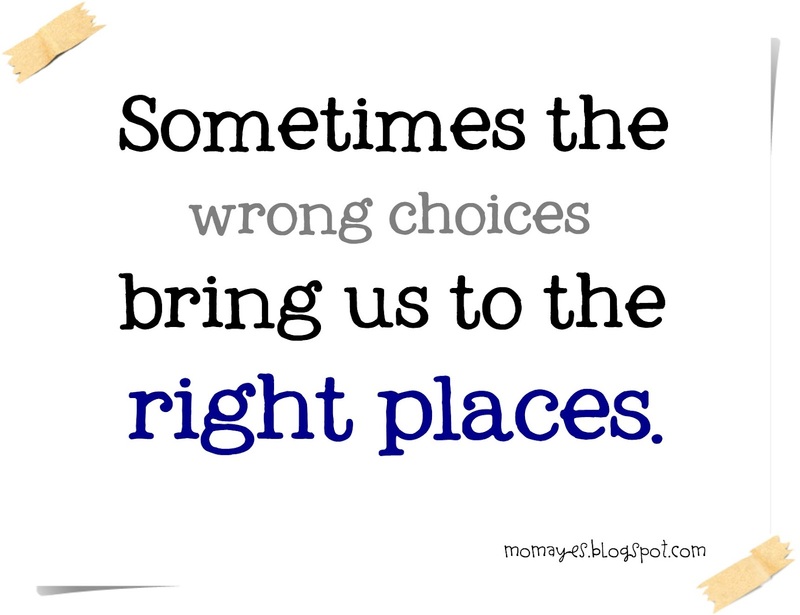 Don't worry about making wrong choices, because these might lead us to the right places. Crochet baby hat and barefoot flowers. This keeps me so busy nowadays... I have receive several orders and thank God Daddy is here to help me. Two more orders to finish. I will post the crochet pattern for this at Crafts by Momaye soon. I don't have enough time right now but promise I will post it. Like it? You can order HERE. For those who are so quick to judge, remember that any action will have a reaction. So better shut your mouth first and see what will happen next. Sharing our newest family picture. Life is not always happy but I am always happy being with them. My life is never been the same when I have them. I love you Daddy and Matt! Good morning! Days are so fast and before we know it, September is over! So let me share with you our Daily Inspiration. Our laboratory was audited yesterday by PDEA. This is for the issuance of permit to purchase controlled chemicals like sulfuric acid, hydrochloric acid and potassium permangate. We need those chemicals for our analysis of raw materials and feed samples. Right now, we already ran out of hydrochloric acid and many analysis have been affected. It took us almost 4 months to send the requirements because our bosses need to acquire NBI clearance, Cedula, etc. You know bosses have no so much time for these. I hope we can have the license to purchase sooner after all the requirements are submitted and of course after payment of fee. Anyway, I have been working with this company for 10 years now. This is the first company who accepted me after I graduated from college. This company also took me out of my comfort zone. For the first 20 years of my life, I don't know how to ride a jeep or bus alone. I grew up with my mother always around me. My mother did everything for me. Yes, I was over protected and I was always a shy girl then. I was always afraid to leave our place because I was afraid that I can't do it alone, on my own. But then, I should face reality that after graduation, I should find a job and grow. Everything changed when I stepped out of my comfort zone. The girl who used to be so shy to meddle and communicate with people finally came out of her shell. I learned everything including riding the jeep and the bus alone. It was not easy because there were times I was crying while talking with my mother on the phone. I told her I was having a hard time washing my clothes and all my precious fingers were wounded. My father then told me to just brought my clothes home but it was not possible because I can go home on paydays only. The travel time is 4-5 hours so it would just kill me if I will go home weekly plus the fare. Months passed and I get used to it, though I still get wounds when I wash my clothes (and it happens until now). Challenges from both work and living alone made me the woman I am today. I never imagine myself living far away from my comfort zone, my family. But I did it and God is always there during those times I was feeling weak. 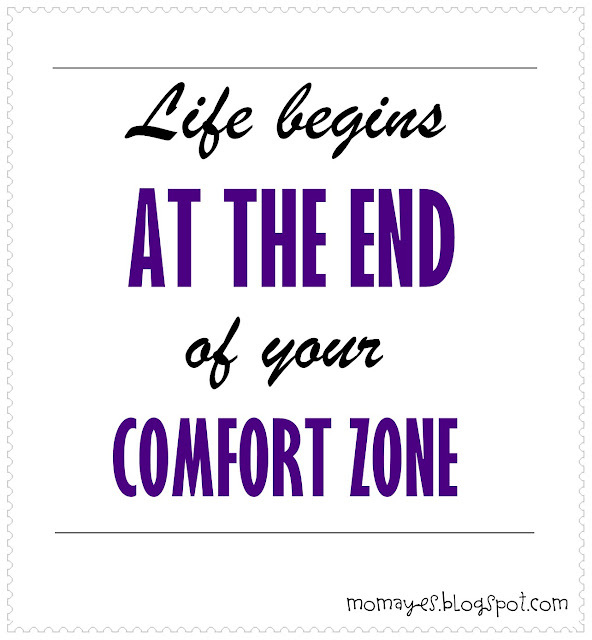 My life truly begins at the end of my comfort zone. Such a long story right? Hope it can inspire you to not be afraid to get out of your shell, out of your comfort zone because only then you can live your life and see what is install for you. Have It Your Way BlogGY Giveaway! Sharing this awesome giveaway with you! Jenn's Blah Blah Blog, Dishin' With Rebelle, and Contest 4 That,who will proudly be launching Pink Ninja Media in the next few weeks. Simply Shawn & Jenn, Moms Vacation Spots, and Pink Ninja Blogger. Enter the Rafflecopter form below. Giveaway will start on September 20, 2012 at 12:01am EST and end on October 20, 2012 at 11:59pm EST. This giveaway is open worldwide. Disclaimer: This blog is not responsible for shipment of prize, Jenn's Blah Blah Blog will be responsible for shipping prize to winner. I did not accept any form of payment to help promote this giveaway. 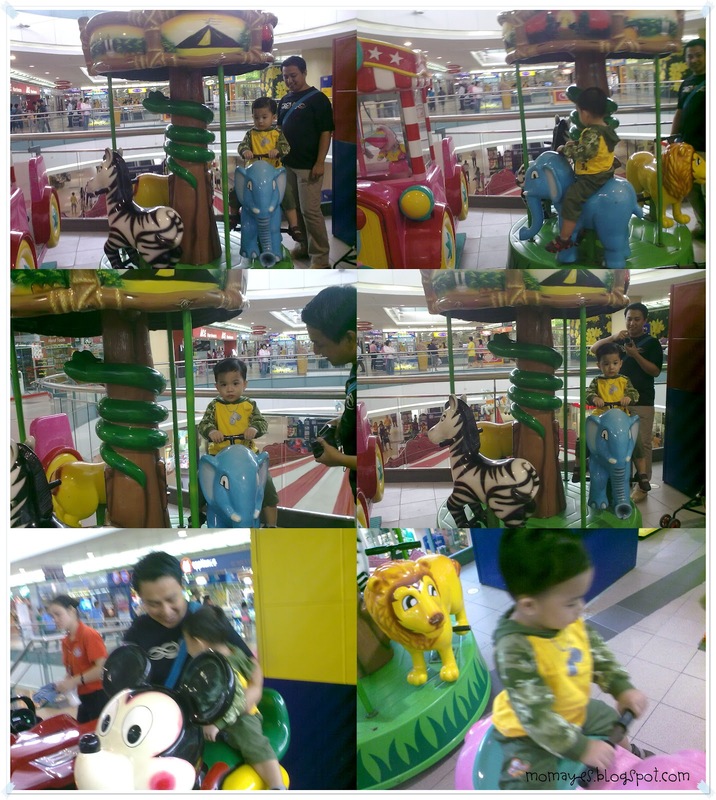 He used to love the Mickey ride but now he is scare with it. He loves the pink pig instead. And guess what, after inserting two coins, unlimited na sya. Haha. Un lang he didn't want to step down. Happy morning! This post will be just short. We will have a visitor from PDEA today. They will inspect the storage of our chemicals. This is a requirement to have a permit to purchase chemicals under PDEA's control. Just think positive and everything will follow. Parenting Tips: Diaper Rash Away! When my son was still a baby and always on his diaper, I always see to it that his bottoms is always fresh and protected. Aside from using cloth diaper, I make sure his skin is always dry to avoid diaper rash. I know that most moms' concern is how to prevent diaper rash. One is by using cloth diaper but of course, rashes maybe cause by other factors like trapped moisture in the diaper, bacteria because of diarrhea and other sickness and friction, among others. Good news is that Johnson's Baby has its Complete Care Diaper System against diaper rash so moms will be assured that your baby is diaper rash free. To know more about it, head over HERE. So moms, always remember that prevention is better than cure and Johnson's Baby is here to help us. Johnson's Baby has a complete line of baby products that is proven safe and effective for our babies. Hello everyone! Sorry for the late post. I am quite busy nowadays but don't worry I will always find time to share a Daily Inspiration to you. Here's for today. I have read about how powerful our minds are. If we believe in something, that will happen. And of course with complete trust in God, everything you believe in, as long as it will hurt other people, will happen in the right place and in the right time. So have faith and keep on believing. Here's another FREE BLOGGER EVENT! The Crazy Stepford Wives have been so busy saving $ while doing their Grocery Shopping that they decided to give away a $200 Amazon Gift Card!!!! Sign up HERE. You get a free Face Book Fan page link with Announcement post and you can get many other links. The Giveaway will run Oct 1st through Oct 31st 2012 meaning the winner gets their cash just in time for Christmas! I am proud to share my second crochet project! 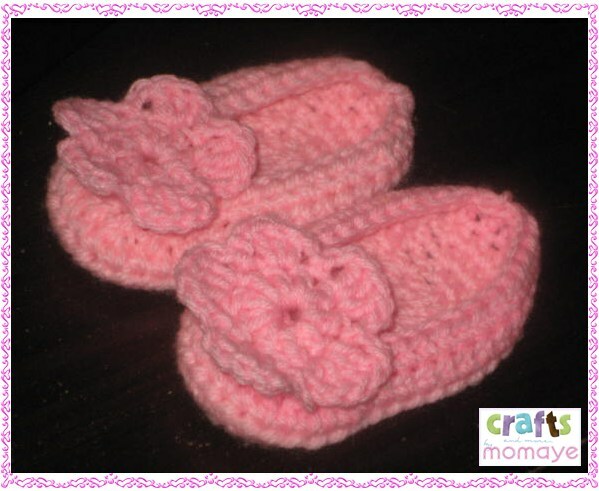 A cute pair of pink baby booties!!! How to do it? Head over to my Crafts by Momaye site. They love to it fried chicken to the bones! But Dad will only eat Matt's left over. Haha. Can you relate moms and dads? Hello everyone! It's Monday once again! I have so many things to do and post but I don't have enough time to do it now. I have new craft projects so watch for it. I will post it here and the DIY on my craft site. Anyway, here's our Daily Inspiration. True right. No one can ever take our right to learn. 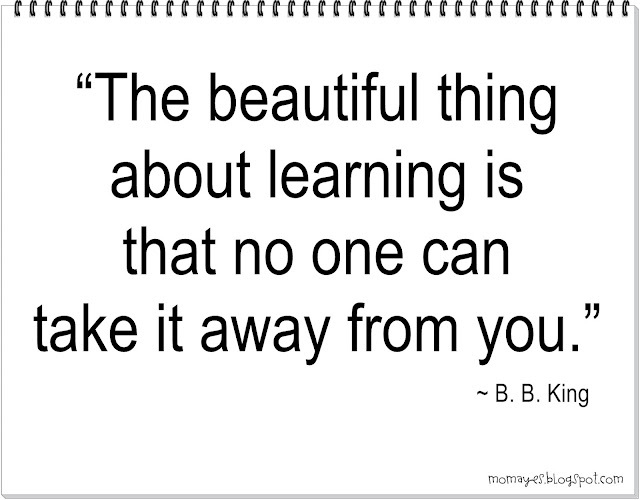 So just keep on learning and don't be afraid to try new things. Rainy Sunday everyone! Sarap matulog lang maghapon. But the little boy is begging us to stand up and we will go to Church daw. He got used to it na kasi that every Sunday he dressed up and go to Church. This made me smile and it's true. Women go through many hardships in life so we need someone to take care and love us the way we deserve. So guys, if you already find the right women, please take care of her because you can never find anyone like her again. Hello guys! Sharing with you another fabulous giveaway! Hosted by Jenn's Blah Blah Blog and Pink Ninja Media. If you missed the previous giveaway last month, then don't worry because another Glass Handbag will be given away. Isn't that fabulous? So let's proceed with the giveaway. But let me tell about our sponsor. If you love handbags, a true luxury designer handbag than you're going to love Glass Handbag. These handbags are luxury handbags that stand apart from any other handbag on the market. Every Glass Handbag has an integrated light system, the functional designer lighted handbags offers a fashionable look for anyone. If you're looking for a quality handbag, these handbags are hand-made by skillful craftsman that are true professionals in leather, hardware and electronics. The unique lighting system takes up no space, only provides low power consumption, flexibility, long lasting battery life and true beauty. This unique lighting system cannot be found anywhere else. These handbag's represent true quality, like no other handbag I have experienced before. Rest assured, when you choose Glass Handbag you're choosing the best handbag available on the market. One very lucky winner will choose their very own Glass Handbag (up to $1000 value). Enter the Rafflecopter form below. Giveaway will run until October 15th at 11:59pm EST, must be 18 years or older to enter. Everyone enter this giveaway is open Worldwide! Thank you for participating in another amazing Glass Handbag Giveaway. Disclaimer: Momaye's Diary is not responsible for shipping prize to winner, prize will be shipped directly from sponsor. We did we not accept any payment for promoting this event. 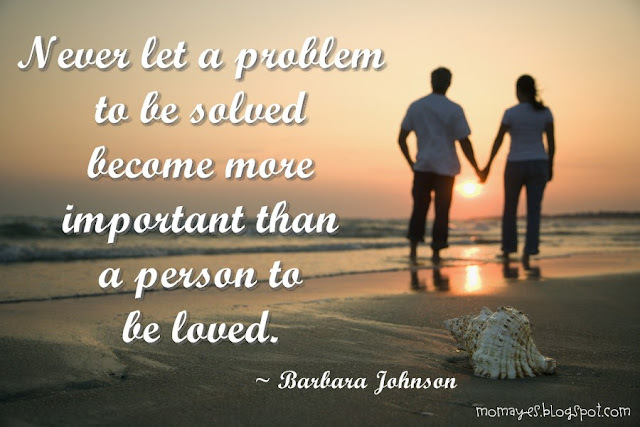 Daily Inspiration: A Problem or A Person? Good day! I hope all of you wake up with a happy heart. To give energy to our soul, here's our Daily Inspiration. Have you notice that sometimes solving a problem makes us forget the important people in our life? We tend to give more time and effort in finding solutions to a problem. But let us remember that problem is just a problem so never forget that it is less important than the people we love. 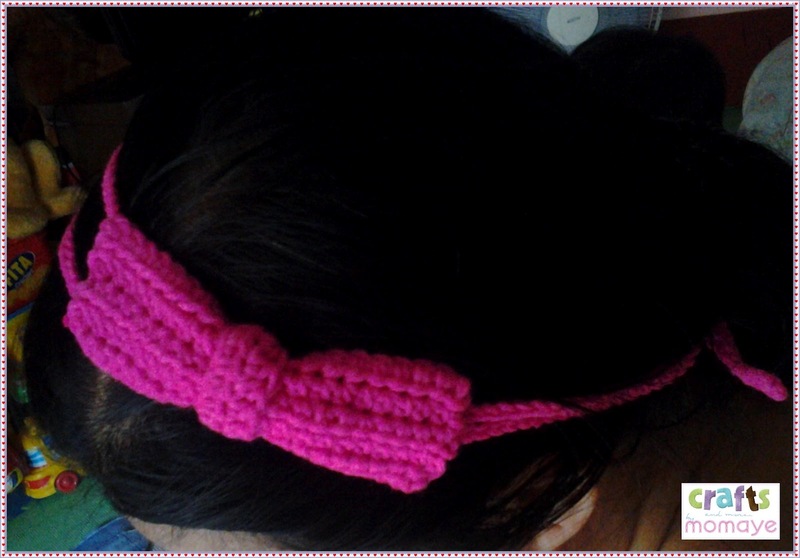 I am doing headbands when he joined me. He carefully and happily separate the fabrics based on its color. Which makes me think if he is helping me or just making a mess. Hehe. Whatever his intentions, he is my cutie pie still! Love love love! Good morning! Thank God it's Friday! But I still have to go to work tomorrow as always though it's half na lang. This is because I made a request to our Manager if we can pay 30 minutes every weekday to compensate our 3 hours on Saturdays. Thank God he approved it so that our Saturdays are half days only! Let's go to our Daily Inspiration. 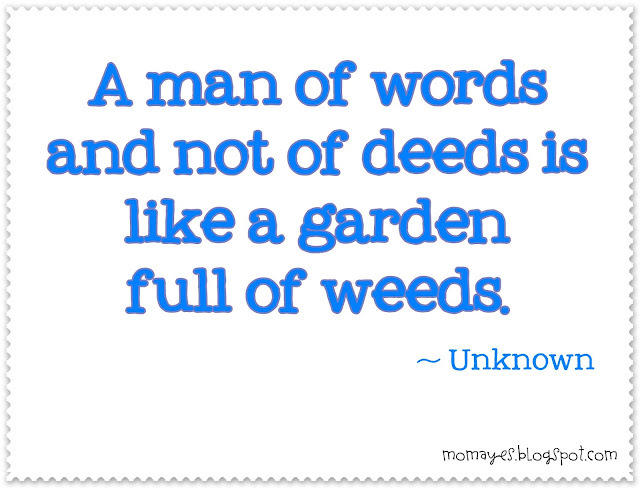 Are you a man of action or a man of words? Actually, I hate people who just good at talking. 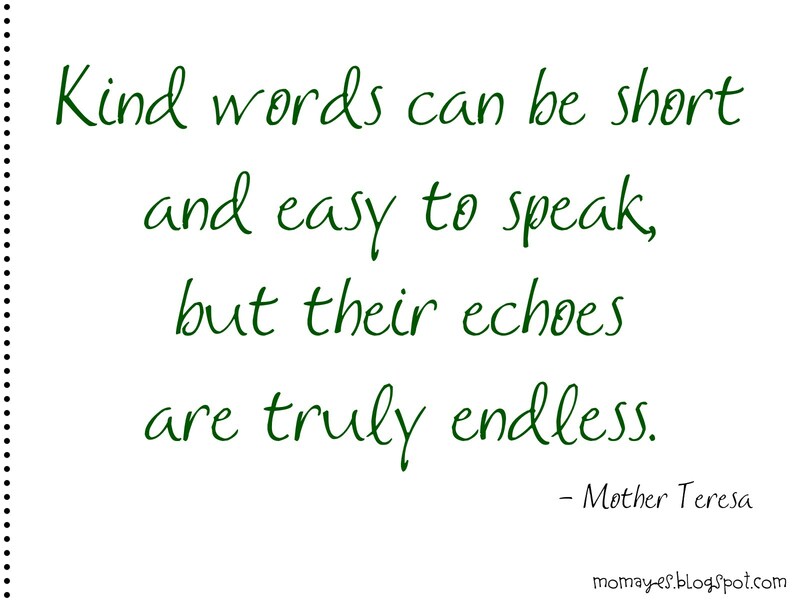 I always believe that less talk, less mistake, and that action speaks louder than voice. It's the McDonald's Happy Bundle Meals! All bundles good for four persons already! So you can save up to 200 pesos. Isn't that great? That's why we love McDonald's. 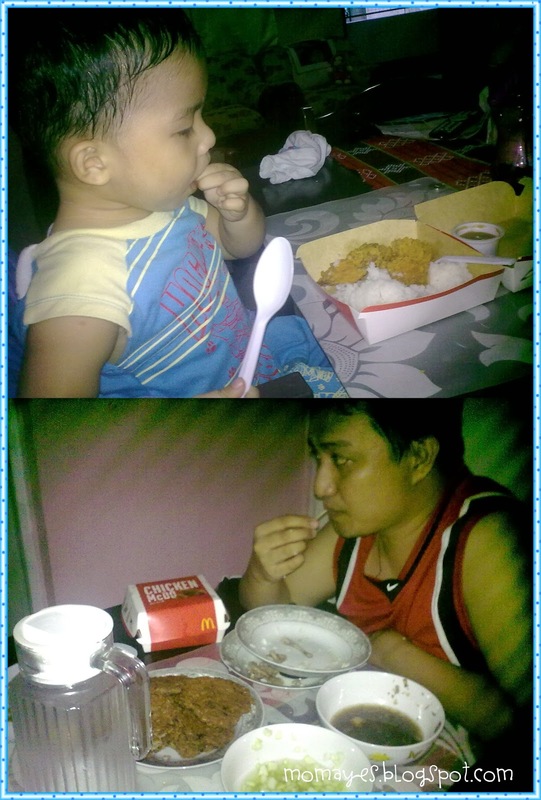 Oh by the way, my son loves to sing McDonald's jingle "Paparapapa... Love ko 'to!" Sharing my first ever crochet project. If you want to make one for you and/or your little girl, find the pattern here. Hello everyone! Sorry again for missing two Daily Inspirations. I am such a busy bee this past days finishing reports at work, thinking of new craft projects and of course doing wifey and mommy jobs. So before I get busy again today, here's our Daily Inspiration. A simple "Thank you", "I love you". "Take care", so easy to speak, so short but it can go deep inside a person's heart. It will echo endlessly that can make a person smile. Good morning everyone! Let me share this extreme giveaway! Joys Of Life, Empowered Mommy and Pregnancy Forum have teamed up with many awesome bloggers to bring you a fabulous giveaway! Were you lately planning anything big? Want to go shopping without worrying about the expenses? A family vacation? A trip somewhere? Throw a grand party? A baby shower if you are expecting? There are so many things to get done! You can do anything with the winning cash, enjoy and make something come true n your life that you have been waiting for. 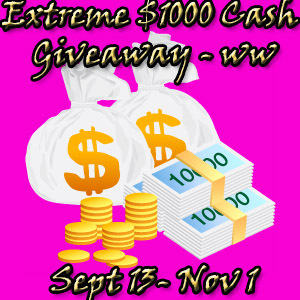 ONE lucky winner takes home $1000 Cash by the end of the giveaway! Just enter the Rafflecopter form below. Make sure you complete all the tasks to maximize your chances to win. This giveaway will run from September 13 to November 1, 2012. This giveaway is open worldwide. The winner will be notified via email. No reply within 48 hours would make us choose another winner at random. For fairness sake, we will be evaluating all the entries - anyone that uses multiple entries from one ip address will be disqualified from the giveaway. Only ONE ip per household is allowed. Please read our disclosure for more information and giveaway rules. Disclosure: I was not compensated for this publication. All views, opinions and impressions are my own and may differ to than that of your. Momaye's Diary is not responsible for the prize. Anyway, two wonderful ladies gave me this award. Hugs and kisses to Aileen of Miss Aileen A and Lalah of Party of Three! 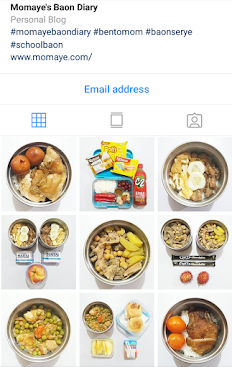 Aileen inspires me with her health and fitness posts, while Lalah is a Dentist/wife/mom/blogger with a very cute "mini-me". Please go and check out their blogs and you will surely have fun reading through it. * Thank the person that nominated you and include a link back to their blog. * Tell 7 things about yourself. 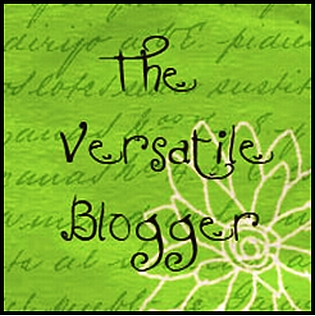 * Choose 15 blog that you recently discover or follow and let them know that they have received The Versatile Blogger award. Include their links in the post. 1. I always try look at the brighter side of any situation. 2. I don't drink any alcoholic drink. I simply can't stand the bitter taste. 5. I don't eat beef but I eat corned beef and burger. 5. I love crafts and anything about arts. 6. I want to be a successful mompreneur. I always want to be a stay-at-home mom. 7. I want to have twin baby girls in the future. Though I will gladly accept what God will give us. So there you go! Again, thank you ladies for this award, I am not expecting it but I am very honor to receive it. Mwaah! Here is Matt helping Mommy to clean our bedroom. 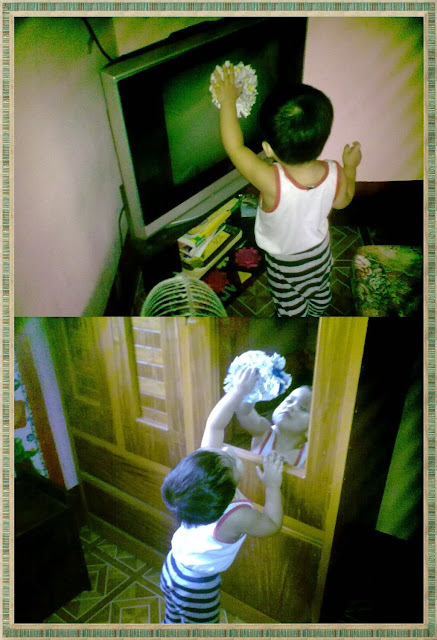 When he saw Mommy cleaning the room, he voluntarily wipe our mirror and TV. Terrible Twos isn't that terrible after all. Right? Enjoy the rest of the day and have a safe travel back home. Hello everyone! How's your weekend? It's so hot yesterday as if it's summer. We do some crocheting yesterday and once I have done with a pair of booties I am doing, I will share it with you. For the meantime, here is our Daily Inspiration for today. 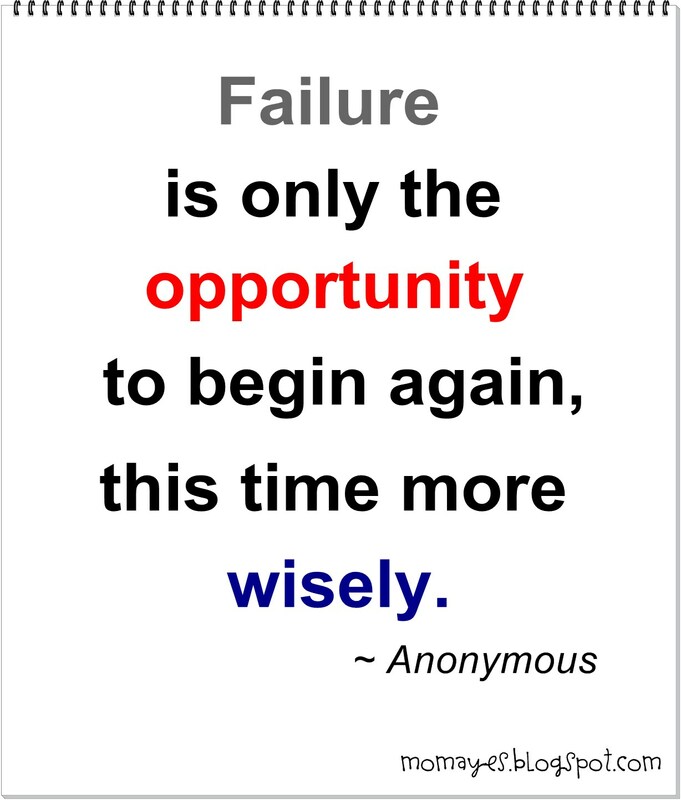 Failure does not mean you should stop for it is another new opportunity to begin again. This time around, do it better. I remember when I decided to learn crocheting. I find it really hard and seems that I never succeed in finishing one project. But no the failure never stop me. I do it again, and I see to it that I do it much better. So I am happy that I am doing it good now. I'll show you an evidence soon. Hello everyone! Let's the start the week with a fabulous giveaway! Welcome to the Ball + Chain Jewelry Giveaway! Jenn's Blah Blah Blog , Diva Fabulosa and our soon to be launching Pink Ninja Media! Mom to Grandma, The Frugal Free Gal, Pink Ninja Blogger, Simply Shawn & Jenn, and Moms Vacation Spots. Ball + Chain Accessory Auction has the latest fashions, trends, and accessories. Enjoy the Name Your Price Auctions held every Tuesday night! The Auctions start at 8pm CST, oh and you'll also receive FREE SHIPPING ON ALL SALES! Find super cute shoes, handbags, jewelry, and so much more! You're not going to want to miss out on their Tuesday Night Auction Fun! Disclaimer: I did not receive any compensation for helping promote this giveaway, nor am I responsible for shipping the prize to winner. Prize will be shipped from directly from sponsor to winner. I want to share this giveaway! This giveaway is hosted by I Heart Giveaways and The Coffee Chic. Co-hosted by Zoes Printable Coupons, Stay a Stay at Home Mom and Chic Foodies. Giveaway Scoop - Finding the very best giveaways that you'd be interested in entering and winning can be a frustrating task. Giveaway Scoop is attempting to change that by scouring the web daily and highlighting just the top 15-20 giveaways, contests and sweepstakes. Since all the prizes are presented in big, clear images, you can quickly narrow down just the giveaways you want to enter. Why not head on over to giveawayscoop.com and start finding the prizes you want to win? Tracky - Tracky is all about getting things done. Every day and every night. Meet doers. Learn from each other. And use the digital tools you love to accomplish your real-life tasks and goals. Enter on the rafflecopter widget below to earn entries. This giveaway will run from September 10 to October 10, 2012. It's Sunday family day again! Time flies so fast that tomorrow it's Christmas already without us knowing. Here's our Daily Inspiration for today! As as I always say, life is an echo. 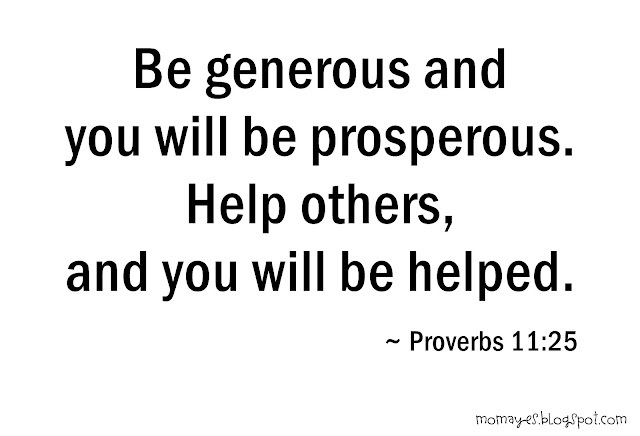 So even you don't expect something in return, you will have the gift of what you have done. God sees everything! Do you also wonder why crackers have holes? If you also wonder why, these holes are purposely place on crackers. 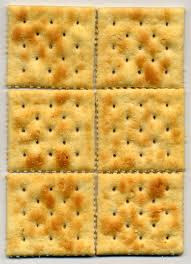 The holes help to bake the crackers correctly. How? Crackers are made from dough that is rolled into thin sheets. These sheets will pass through a machine with docker pins that will put holes in the dough. During baking, these holes will allow the steam to pass through the dough creating crispy and hard crackers. Did you also know that there are specific numbers and positioning of holes for a particular shapes and sizes of crackers? Yes there are. Putting holes that is too close together will produce an extra hard and dry cracker. While if the holes are put too far apart, there’s a tendency that part of the cracker will rise a little and that’s the cause of the bubbles on the cracker’s surface. Good Day everyone! It's weekend already! Moms like me loves weekend right? Well, except for the household chores, LOL. Who wants happiness? Everyone want it and is searching for it. Often times, we overlooked where to really find it. 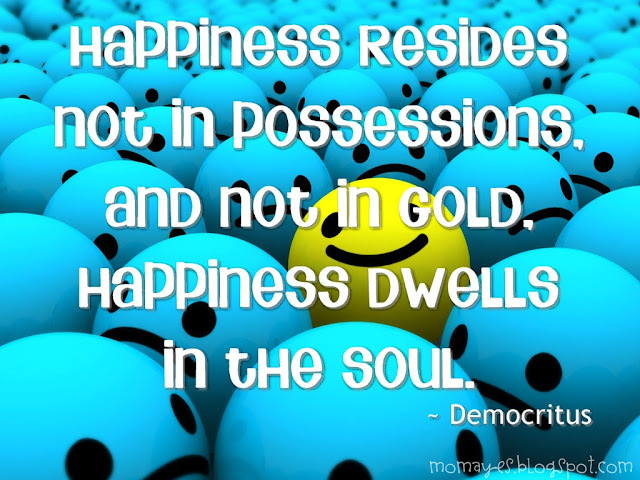 We keep on searching happiness everywhere and in everything we have, not knowing it is just within us. For happiness dwells in our soul. Be happy always! Happy Saturday! Daily Inspiration: What is Crab Mentality? Back to World of Fun!